When you are stopped by a police officer while driving, you still have a number of civil rights. However, how you choose to invoke those rights can certainly set the tone for what will happen next. Here’s how to protect your rights under the law in a respectful, constructive way. You have the right to record or film the entirety of the traffic stop. However, many officers will ask that cell phones be put away. You can politely tell the officer that you would like to invoke your right to film the interaction, but also let him or her know that you don’t want any trouble. If you do continue to film, be sure that your phone or camera doesn’t get in the officer’s way at all or you might be arrested for obstruction. While there is no set length of time that an officer can have your vehicle stopped, it must not be considered unreasonable in length. If you feel that you have been detained too long, for example, over half an hour, you may ask the officer why you are still being held. The police have the right to your identifying information when they stop your vehicle, which is why drivers are asked for their license and registration. You also have the right to the identifying information of the officer, including his or her name, badge number, and their jurisdiction or precinct. Be sure to ask the officer for the information politely and do not become aggressive or confrontational. 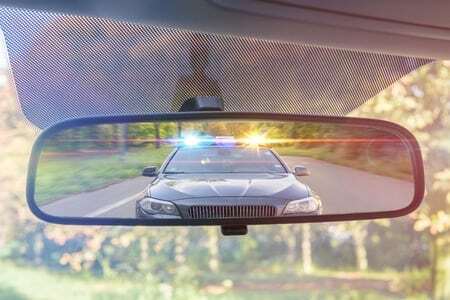 If you were pulled over for a traffic ticket and your rights were violated during the stop, it’s in your best interest to consult with a lawyer. Contact our office for a consultation today at 770-349-9219.